Sydney Water and Nuron from the UK have signed a deal for distributed, in-pipe fibre sensing technology, which measures multiple parameters along the entire length of a sewer. The technology acts like a nervous system. It extends through the sewers and measures flow, depth, temperature and structural integrity every 5 metres along the sewer pipe. 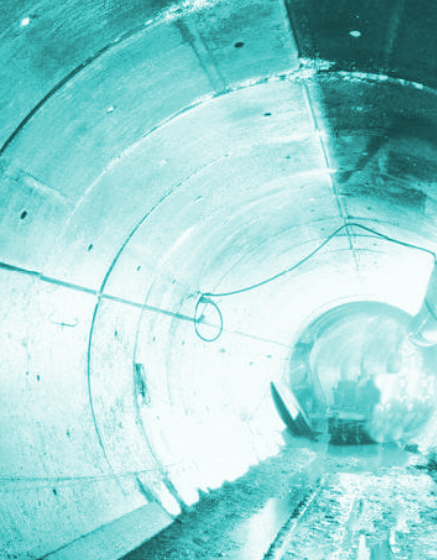 It delivers real-time monitoring and capacity management that enables utilities to remotely identify and locate issues before they become a pollution incident or other serious incident, and make better use of their existing sewer capacity. The Nuron technology is based on distributed acoustic sensing. This is not new - it is currently used in oil and gas – however, Nuron has used significant innovation and enhancements to ensure it works in open, unpressurised flows. Laser pulses shine down the fibre and as the light travels through, some is backscattered by imperfections in the fibre. This backscatter is translated into operational parameters and time of flight gives location. The system will provide an opportunity to transform wastewater operations by improving services and value to customers. “This project is an opportunity for Sydney Water to gain real time, sewer data to improve its services,” said Paul Higham from Sydney Water.